The agricultural year of 2014 has been described as an ‘unmitigated disaster’ for Valencian growers. A laser labeling technology is coming to the U.S. produce industry, and potentially anywhere that JBT Corporation has customers. Spanish pomegranate growers will team up with the Elche soccer team to promote their fruit at home and abroad. The president of the Regulatory Board, Cirilo Arnandis, said Monday that the kaki harvest this season is expected to reach approximately 80,000 tonnes, with “high quality and good calibres.” This is 8,000 tonnes more than last season. Arnandis highlighted how the success of kakis is the result of hard work and effort in the entire sector, as well as support from the regional and national administrations. “We have managed to turn kakis into a flagship product,” he stressed. The campaign will primarily focus on consumers, aiming for them to recognise the fruit with the PDO Ribera del Xuquer “as a kaki that guarantees flavour, quality and food safety,” and that only PDO-certified fruit can be marketed under the Persimon label. In addition to promotions at domestic level, Arnandis said that such campaigns will also be carried out, with help from ICEX, in Germany, the UK and Canada. There will also be a EU-funded campaign in France. Total investments in promotion for this season exceeded one million Euro. Moreover, the president of the Regulatory Board stated that while hailstorms have affected the production in some places of the region, this will be of “equal or slightly higher quality than last year, although taking into account that not all demand could be covered last season. “This campaign there will be a decline in demand as a result of the closure of the Russian market, although there is enough demand from other markets to absorb all supply,” he explained. 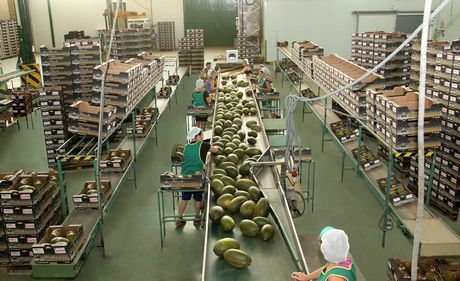 Zespri Iberica, subsidiary of New Zealand’s multinational engaged in the production and marketing of kiwifruit, has announced plans to introduce a new gold variety into the Spanish market in the next two or three years, the result of a project that is already very advanced. The marketing manager of the company, Enrique Guío, announced the structure and Zespri’s objectives in the present and in the future. Today, the company sells three varieties of kiwi worldwide: Green (70%), Gold (26%) and organic (4%), but they only distribute the first two varieties in Spain. “We want our product to arrive in the best possible quality to the customer, and we developed a strict control process called Zespri system,” said the Firm’s manager. The pomegranate season of the Valencia variety, which started in mid-August, is almost finished and the markets are awaiting the arrival of the Mollar from Elche on 30 September, which is the flagship of the Spanish campaign. “So far, the Valencia pomegranate season has been characterised by a reduction of about 25% in production volumes; a similar percentage to what we expect for the Mollar variety,” says José María Martínez, head of the cooperative Cambayas, one of the largest pomegranate producers and marketers, based in Elche, Alicante. This decline, mainly due to problems in the settling of the flowers due to the lack of rain during the spring and summer in the eastern region, “has so far not had an impact on the average prices, which have been under pressure due to the Russian veto,” said the executive. Therefore, as regards the Mollar campaign, which will start in a few days, the similar drop in production could compensate for the volumes of this variety that will not be shipped to the Russian market,” explains Martínez. Taking into account both direct and indirect exports, Russia accounted for around 30% of the exports; more than 13,000 tonnes. “This also indicates that, although pomegranates are currently a popular fruit, the market supply is growing faster than demand, not only in Spain, but also in the rest of the world; a trend which it seems will continue for now,” he affirms. The acreage devoted to Mollar pomegranates in Elche and the surrounding municipalities is of approximately 3,000 hectares and this year a harvest of about 35,000 tonnes is expected. Some of the major destinations right now, besides the domestic market, are the UK, France, Germany and the Netherlands, as well as the Persian Gulf and Asia. Turkey and Israel will benefit from the Russian ban, as it will allow them to increase their shipments to this destination. “Turkey and Israel will get a larger market share and, even if the veto was to be lifted in the future, it would be difficult to recover that share,” he points out. The crop accounts for over 80% of the agricultural production in many municipalities in the south of the province of Alicante and generates more than 3,000 direct jobs and a thousand indirect jobs. Recent hailstorms have put a €52.5 million dent in eastern Spanish citrus, grape and persimmon farms. During the first six months of 2014, the European Union (EU) has purchased a total of 650.02 million kilos of fresh and refrigerated peppers, paying around 13.87% lower prices than in the same period last year, according to data from the statistical service Euroestacom (Icex-Eurostat). Within the period at hand, the volumes purchased have dropped by 4.89% compared to the same period in 2013. The EU countries paid a total of 971.47 million Euro; a 17.84% drop compared to the previous year. Spain is the leading pepper trade in the EU market, with a total of 302.03 million kilos; 46.46% of the total, followed by the Netherlands with 156.93 and Morocco with 52.44 million kilos. Regarding the Spanish exports, Almeria is the largest exporter with 71.05% of the domestic total, followed by Murcia (12.65%) and Alicante, which carried out 6.71% of all Spanish pepper exports to the EU. The province of Almeria’s exports accounted for 171.74% more than the total sold by the Netherlands. The fourth largest pepper supplier to the EU is Israel (41.97), followed by Germany (22.87), France (14.77), Turkey (14.59), Belgium (8.60) Greece (6.65) and Slovenia, which closes the Top 10 with 6.02 million kilos. Cooperative Unica will now be the largest on-the-vine tomato grower in Spain through the incorporation of a new member. The table grape campaign in Vinalopó, Alicante, is currently in full swing with the early white seeded variety Victoria and the white seedless Superior, but with lower volumes compared to last year’s bumper crop. “This week we will start working with the red seeded Red Globe variety and soon we will have Italy, a white seeded variety,” explains Eduardo Costa, sales manager of the young company IMG. “From September, we will have Crimson white seedless grapes and red seedless Autumn Royal.” It is a campaign with fewer kilos, but with better quality and larger calibres. 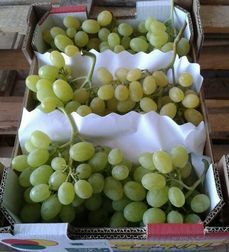 “The quality of these table grapes is truly satisfactory this year. Furthermore, as a result of the dry weather and the arrival of high temperatures, the ripening has accelerated and the fruit reaches high Brix levels, with a yellowing of the skin that indicates that the fruit is at its best for consumption,” he affirms. The Valencian company is currently also distributing peaches, nectarines, apricots and flat peaches, which, despite their higher quality this year, have failed to increase in price due to oversupply. “Since the start of IMG’s operations in March we have been very pleased with the progress and how sales are going, as well as with the addition of new clients who have placed their trust in us,” concludes Eduardo Costa. IMG International Med Growers S.l. At the moment, the melon campaign is primarily focused in Murcia, although Almeria will remain on the market for around 15 more days, as many growers there planted later due to their fear to the New Delhi virus. “The results of the campaign are not positive so far in terms of quality, demand and prices,” points out Javier Uceda, manager of Somevisa. 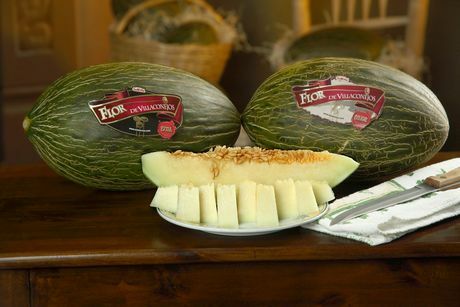 The domestic market has always been the most important and remains so for the Piel de Sapo melon, but Javier says that exports are gaining relevance given the increased demand outside the Spanish borders. “Over the past few years, we have gained a stable position in Portugal, where large calibres of between 3 and 5 kilos are demanded. In the rest of the continent, including Scandinavia and Eastern Europe, we are shipping melons of between 1.2 and 1.8 kg. It is very expensive to find small calibre melons, since almost all the varieties available are intended for the production of large calibres. And, when the melon is small in size, it is usually due to problems during the production process and the quality is not the same,” he explains. Frutas Somevisa is celebrating its 25th anniversary. 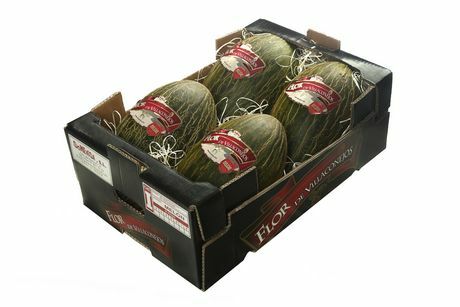 The Villaconejos-based company is devoted to the marketing of melons from all producing areas in Spain, mainly the Piel de Sapo variety. “We have warehouses for handling near the plantations in all production areas because we believe that in this way we reduce the time from harvest to the delivery to our customers, maintaining an ongoing relationship with growers,” states Javier. As soon as Murcia’s season ends, the firm will continue with melons from Castile-La Mancha and Villaconejos, which will be the last of a campaign finishing in late September. Last year, Extremadura suffered production losses of up to 60 % due to heavy hailstorms and other weather adversities. “It was a year in which growers only obtained good prices as a result of the low volumes of fruit in the warehouses,” recalls Manuel Alonso, of Naturcrex. “This year, the weather has been very favourable and has allowed us to start seven to ten days earlier, with a satisfactory quality for all types of stonefruit and production volumes at slightly higher levels than those of a normal campaign,” he points out. 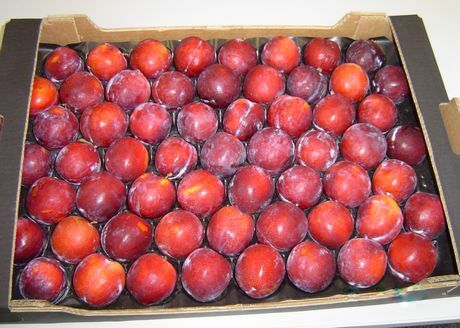 Based in Valdivia, in the Spanish region of Extremadura, and with headquarters in Calasparra, Seville and Huelva, Naturcrex produces all kinds of stonefruit from April to late September, with plums being its speciality. Plums actually represent more than 55 % of all stonefruit crops in Extremadura. 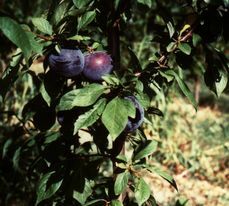 “The first Early Queen plums are harvested in late May. Later, we continue mainly with the CrisonGlo, Fortune and Freedom, closing the season in September with the Plum Late variety, which we store until February if the product meets the right conditions,” he explains. Under the brands CREX, Pangú and Luxus, Naturcrex markets its products primarily through supermarket chains in both the domestic market and the export market, reaching all of Europe as well as faraway destinations like Brazil, Canada, South Africa and Saudi Arabia. Spain’s red berry sector revenue fell significantly in the 2012-13 season despite a greater surface area of crops. Average tomato prices have increased for first time since mid-April, reaching close to 0.26 /kg. Sales volumes are down by about 30% compared to the previous week, with the smooth, ribbed and on the vine varieties dropping the most in volume and experiencing the greater price increases. The low prices received by growers since late April due to the market’s saturation has led to an early end of the campaign for many plantations. The month of May has left a very unfavourable balance for tomato growers, with sales volumes down by 20-30% compared to the same month of the 2012/13 campaign, and the average monthly price of the product approaching 0.22 /kg, compared to the 0.42 /kg obtained during the month of May last season. During week 22, Morocco exported a total of 2,305 tonnes of tomatoes to the EU at an average price of 33,40 /100kg. Exports fell by 32% in volume and 19% in value compared to the previous period. 31 May marked the end of Morocco’s quota period for the export of tomatoes to the EU. The volume exported amounted to 95% of the available quota for the 2013/14 campaign, with a total of 66 days with a price below the minimum established in the EU-Morocco Trade Agreement. With a 10 day advance at the start of the campaign, the Spanish region of Aragon expects to harvest 570,000 tonnes of fruit this year, as announced by the head of fruit and vegetables of the Union of Growers and Farmers of Aragon (UAGA), Vicente López. Aragon has over 38,000 hectares of stone and pome fruit plantations, of which 34,000 are in full production. 54% of those hectares are devoted to the cultivation of peaches and nectarines, 20% to cherries, 5% to apricots, 3% to plums, 10% to pears and 9% to apples. According to UAGA, Aragon’s total fruit production last year was of about 570,000 tonnes and this year’s is expected to match it, as despite the variability of the weather conditions in 2014, the good spring temperatures have allowed for a good fruit development. The peach and nectarine production is expected to be the same as last year, of about 370,000 tonnes. The cherry harvest will be greater than in 2013, with about 30,000 tonnes, and apricots should also register similar figures to last season, with some 11,000 tonnes. No variations expected either for the plum harvest, with a production of 7,000 tonnes, while apples will fall by 20% and pears are expected to remain at similar levels as in 2013. According to UAGA, the value of Aragon’s final agricultural production in 2013 amounted to 3,793.21 million Euro; 10.24% more than in 2012. Last year, the fruit sector reached a value of 341 million Euro; 1% more than in 2012. Aragon’s fruit industry ranks second in terms of food product exports, with transactions valued at a total of 114,659 million Euro. In this sense, UAGA expressed its concern on behalf of the sector regarding the instability in the relations between Russia and the European Union, given that approximately 25% of the region’s peach and nectarine production is exported to Russia. This was stated by the president of the Citrus Growers Association of Huelva, Lorenzo Reyes, who explained that the situation is not final. “Much of it will be harvested gradually, depending on how the market evolves.” However, Reyes describes the current campaign as “terrible, because prices have remained at rock bottom prices.” In fact, orange prices at origin have oscillated between 0.16 and 0.17 Euro / kilo, and in recent weeks they have dropped even lower, down to between 0.11 and 0.12 Euro / kilo; well below the production costs, which according to growers, stand at around 0.18-0.20 Euro / kilo.” The average profitable price to be able to face the next season is of about 0.30 Euro / kilo. “These prices will cause many growers to have serious funding problems next season,” lamented Lorenzo Reyes. And this despite having achieved a good production in the province, with 295,000 tonnes; 2.5% more than last year, but consumption levels have remained very low, which has led to a sharp drop in prices. The quality of the production this campaign has suffered because calibres have been slightly smaller and the fruit’s external appearance has been affected by issues such as the ‘clareta’, ie white spots caused by the weather conditions, which does not have an impact on the fruit’s taste. Both factors have contributed to lower prices. However, there has also been fruit “of optimum quality that has not reached the market value of other years,” said Reyes. The positive note has been that the mandarin campaign “has gone well,” affirmed Reyes. Most citrus growers have managed to diversify their production, and as such those who grow oranges also cultivate mandarins. The fact that the results in recent seasons have been better for mandarins than for oranges is leading producers to expand the acreage of the former. Right now, from the 16,600 hectares of citrus plantations in the province of Huelva, 56% correspond to oranges and 44% to mandarins, with a clear trend of the latter to continue expanding. In fact, the province of Huelva is the leading mandarin producer in Andalusia. The melon forecasts for Charentais from Morocco, Spain and France were presented at last week’s Medfel, Perpignan (France). Production of Charentais melons in Morocco covers 1560-1800 ha, of which 950-1,050 ha is in the Marrakech area. The melon season begins at the end of February and lasts until April in Dakhla (260-300ha), followed by the start of greenhouse production in Agadir (350-450ha) and Marrakech at the end of March. Greenhouse harvest in Marrakech is slightly delayed this year. Field crops are harvested from the 20th April for the yellow Charentais and the 25th April for the green, reaching it’s peak between the 5-15th May. There has been a slight drop in acreage in Dakhla this year and a continual decrease in Agadir. Acreage remains stable in Marrakech and Kenitra despite a decrease in small producers. The season is good this year with no weather problems. Harvest in Spain begins between April-May in Almeria, in ‘competition’ with the Moroccan green Charentais, followed by May-July in Murcia-Malaga. Yellow Charentais surface has increased in the Murcia-Malaga area and acreage reaches 2,500-2,600 ha (of which 500-600 ha are used for green Charentais). Weather has been favourable and overall, crops are healthy. Acreage remains stable in Almeria (especially that of greenhouse green Charentais) totalling 300-350 ha. Volume increases between the 15-20th May through until the end of June with some continuing into July. Crops are healthy with calibre varying depending on the plot. French melons are slightly early this year. Melons from heated greenhouses were on the market at the start of May, followed by tunnels at the end of the month. Charentais melon acreage in France totals 14,060 ha, of which 5,400 ha is in the South-East where the main production is u nder covers and tunnels (3,400 ha), followed by 1,350 ha in outdoor crops and 650 ha sheltered. Favourable weather conditions mean that crops are healthy, about a week early at the moment, but to be confirmed depending on the weather over the second half of May. Acreage has dropped slightly in the South-West to 3,500 ha (100 ha in large shelters, 1,500 ha under covers and tunnels, 1,900 ha outdoors) and to 4,900 ha in the Centre-West (30 ha in large shelters, 2,100 ha under covers and tunnels, 2,770 ha outdoors) but crops are healthy and volume could make up for the surface decrease. The South-West and Centre-West have experienced good conditions, are slightly early but this could change depending on the weather over May and June. CSO-Centro Servizi Ortofrutticoli in Ferrara updated 2013 data concerning Italian foreign trade. Exports reached 3.6 million tons (-8% with respect to 2012) for a total of 3.8 billion (+4%). In the same year, Spanish produce exports increased by 11% in terms of volumes, reaching 11.8 million tons and 11.7 billion (+7%). Italian fresh fruit exports dropped by 10%, however, the average annual price reached 1.01/kg (the highest of the past few years), so the total value was more or less that of 2012 (2.5 million). It seems that everything that Italy lost was gained by Spain, as its exports increased by 4.5% in terms of volume (7.1 million tons) and 11% in terms of value (6.35 billion). The main destination for Italian fresh fruit is Germany, however quantities have dropped from 42% in 2002 to 28% to 2012. France (10%), Spain (7%) and Poland (6%) follow. Exports to Russia and Switzerland (3%) remained stable and there was a slight increase in North Africa (Libya 3% and Algeria 2%). Table grapes were the most exported fruit, with a 4% increase with respect to 2012, while there was a decrease in exports of pears (-40% due to the productive deficit), kiwis (-3%) and strawberries (-14%). Plums (+28%) and apricots (+34%) did well. If we consider Spain in particular, Italy exported mainly apples (+11%), kiwis (+5%) and table grapes (+15%) whereas there was a 23% drop in peach/nectarine exports. The balance is positive, though it is slightly lower than in 2012. Exports reached 1.1 million tons and 1.3 billion. Citrus fruit exports reflect fresh fruit exports: volumes (235,000 tons) dropped by 9% but prices reached 0.77/kg (the highest price of the last few years) so the value reached over 180 billion (+11%). Despite this, Italy imported more than it exported, from Spain in particular. Over 60% of the produce bought by Italy in 2012-13 comes from Spain. Italian vegetable exports dropped by 1% reaching 930,000 tons. In this case too though, the average price was rather high at 1.23% (+11%). Spain increased its vegetable exports by 10%, reaching 4.6 million tons for a total value of 4.33 billion (+11%). While Italian fresh fruit imports come mainly from countries in the Southern hemisphere (counterseasonal and exotic fruit and bananas), Italy imports its vegetables mainly from France (34% of the total) and Spain (18%) followed by Germany (17%) and the Netherlands (11-12%). From Spain, Italy imported mainly salad (+29%) and garlic (+23%), whereas the imports of peppers and tomatoes dropped by 7%. In general, the situation is rather mixed: in terms of volume, the situation looks worse than in 2012, as Italy imported over 299,000 tons of vegetables more than it exported, however, the balance is positive in terms of value with exports totalling 372 billion more than imports. Heavy rains earlier this year have negatively impacted the quality of Spanish strawberries, leading to overall poor results for the campaign.